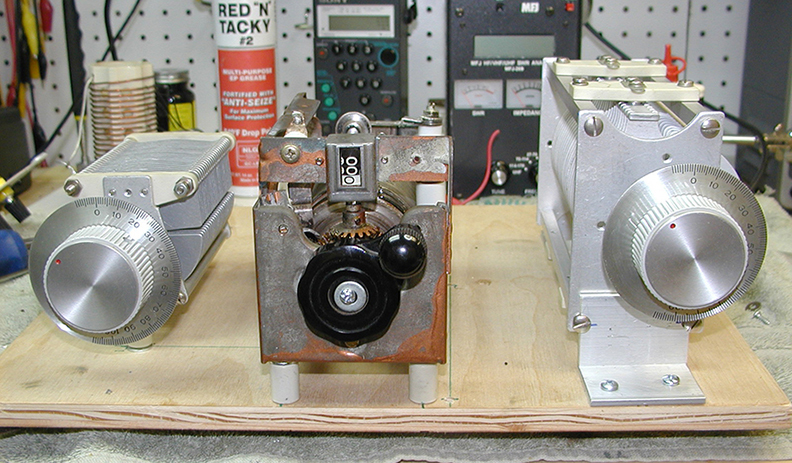 One of my favorite parts of the ham radio hobby is rebuilding old antenna tuners (couplers) or making new ones out of old parts. I enjoy this because there are no heavy transformers, no high voltage to electrocute myself with, and the wiring of most (manual) tuners is relatively simple. However, the mathematics involved in impedance matching is very complex. So I use the "empirical" method to test my tuners. That simply means "cut and try." If it doesn't work the first time, try something else. 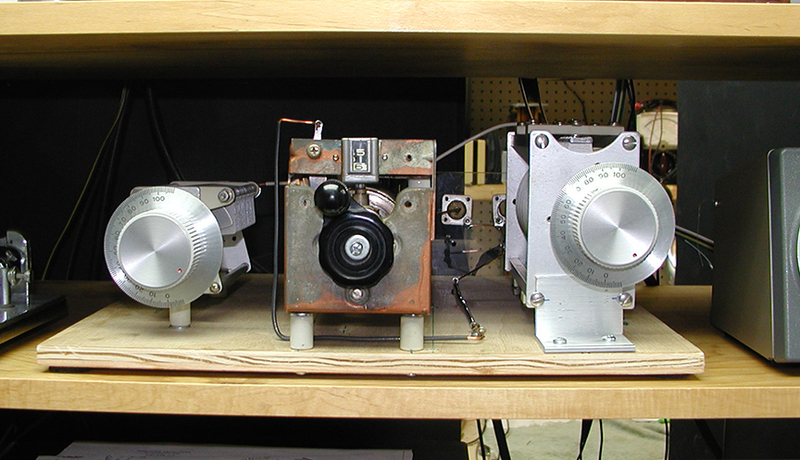 Parts for antenna tuners are hard to come by these days. 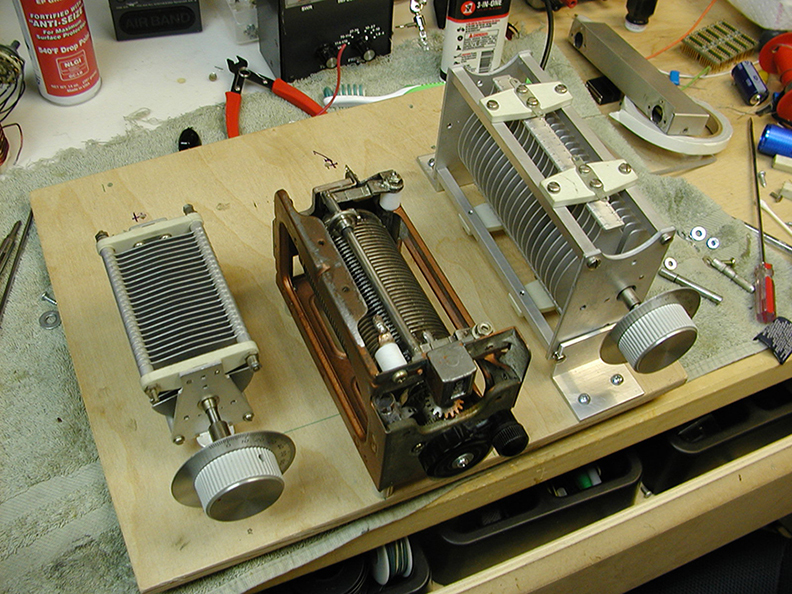 Big variable capacitors and coils or coil stock have become rare. So I buy a lot of "junkers" off of eBay merely for the parts. And now I have a rather large stock of various size capacitors and a number of rotary coils to choose from. 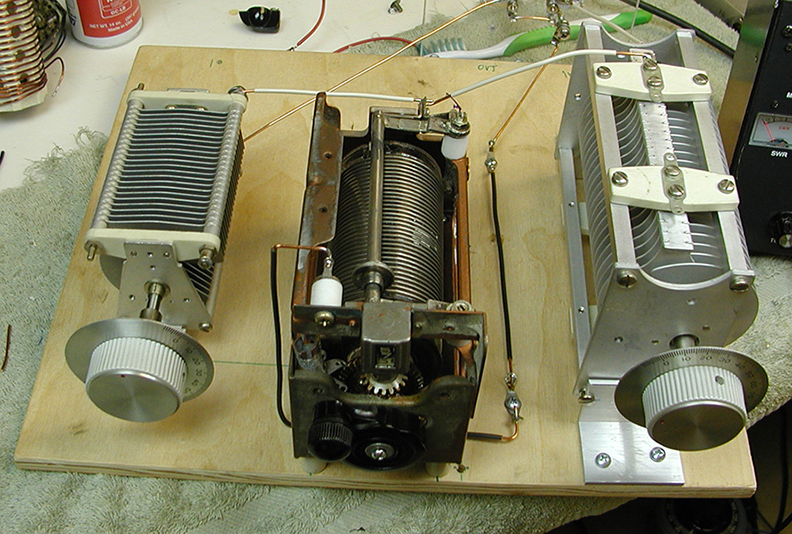 So let's build a cheap but serviceable antenna tuner. CLICK ON THE IMAGES BELOW FOR BIGGER PICTURES. 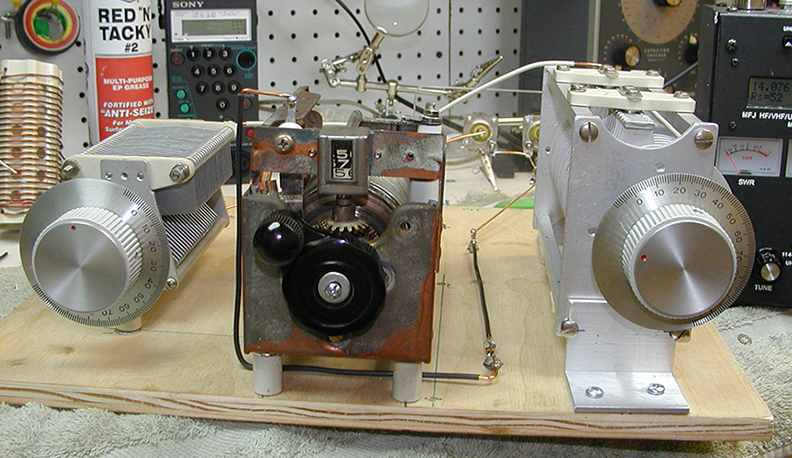 The capacitors are 500pf and I don't know the inductance of the roller, but it is about 30 turns and 2" in diameter. (I'm guessing it is about 30mh. I could get out my handy-dandy ARRL card calculator from 1957 but I'm too lazy). 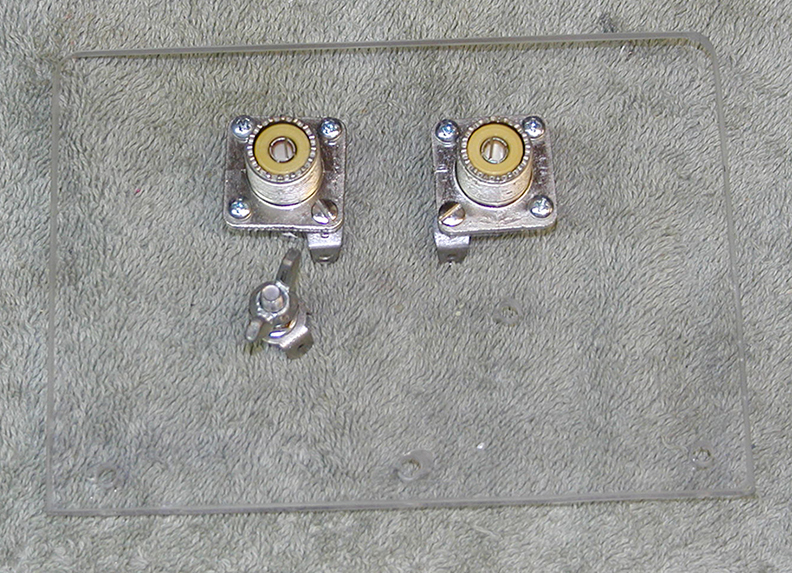 Those beautiful knobs came from another "junker" from eBay and they are not only pretty but serviceable. At the "0" mark the capacitors are totally open (minimum capacitance) and at "100" they are totally closed or at maximum capacitance. Building of this type is called "breadboarding" from the early days of radio when everything was built on Mom's bread board. It is an easy and fast way to construct something to see if it works. If it does, it can be prettied up with a case later on. The capacitor on the right has larger spacing but since they have identical capacitance the input and output could actually be reversed in the "T" match configuration and it would work the same. 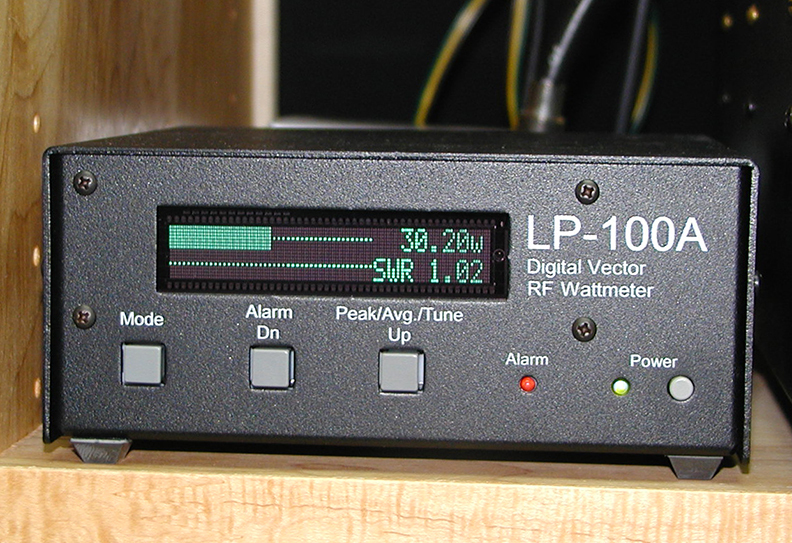 The schematic shows how simple this tuner is. The only ground connection is to one end (the black wire) of the roller inductor which goes to a connector on the back panel where the grounded side of the coax input and output are tied together. 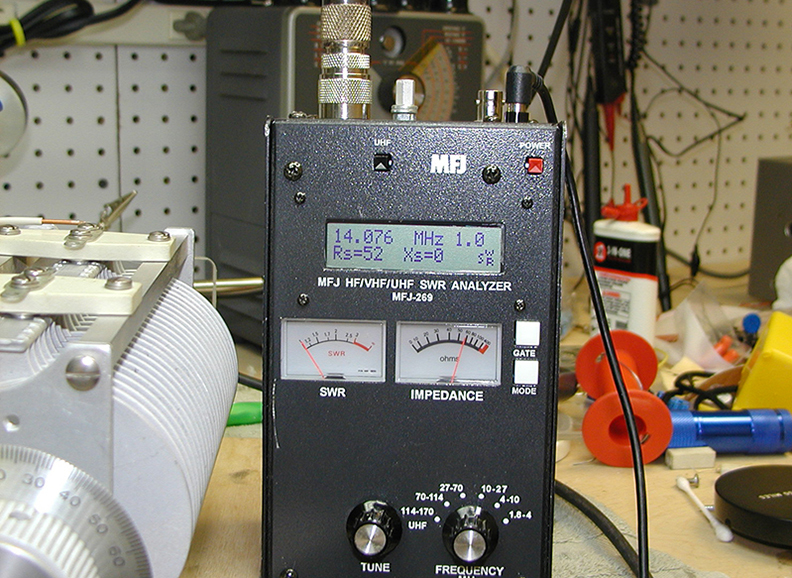 The tuner worked so well feeding 52 ohm coax, I decided to see if it would work feeding the ladder line to my 80 meter full wave loop. 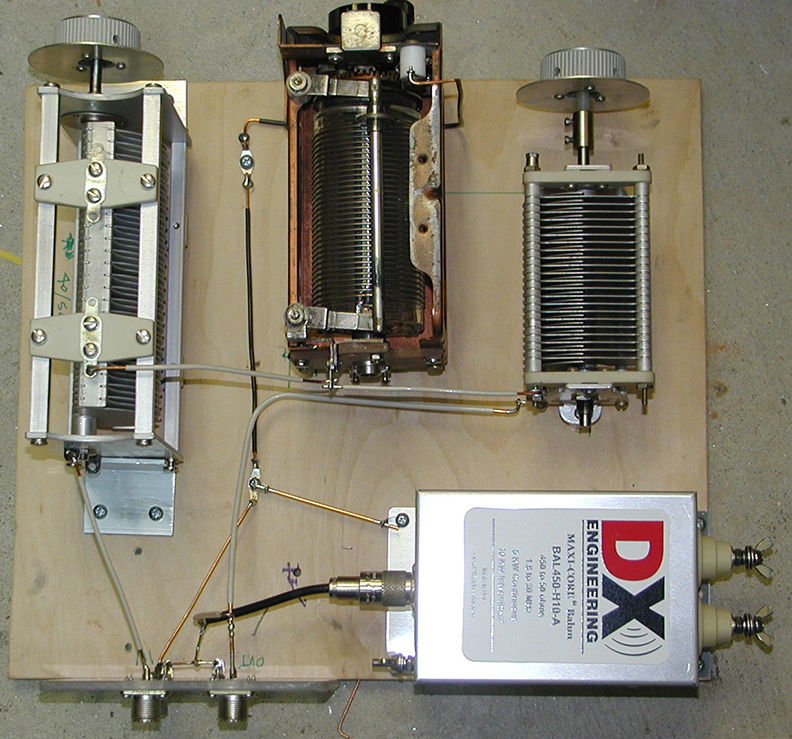 I had a DX Engineering 4//1 balun so I attached it to the board and fed it from the normal output with a short piece of coax. Here are the results. 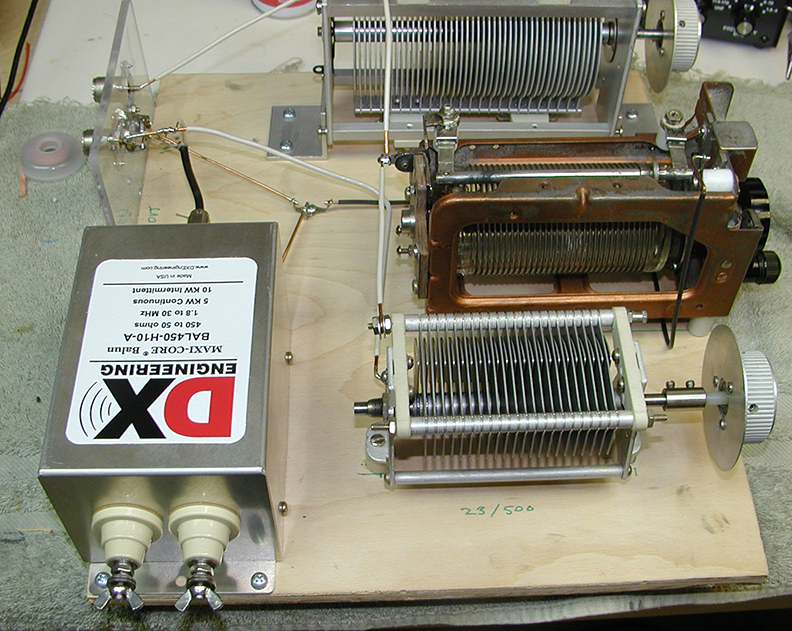 There is nothing complicated about this tuner and if you have old capacitors and a roller inductor string them together in this fashion and see how they work. 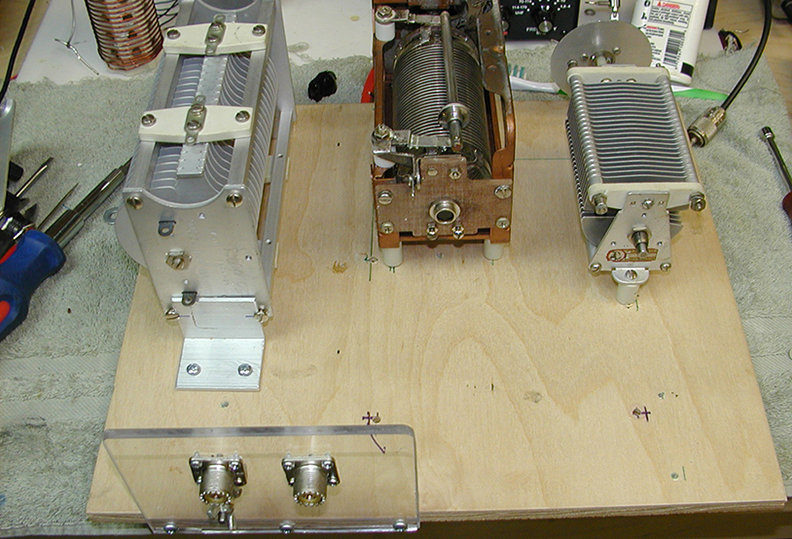 I use my Antenna Analyzer extensively in putting these breadboard circuits together. 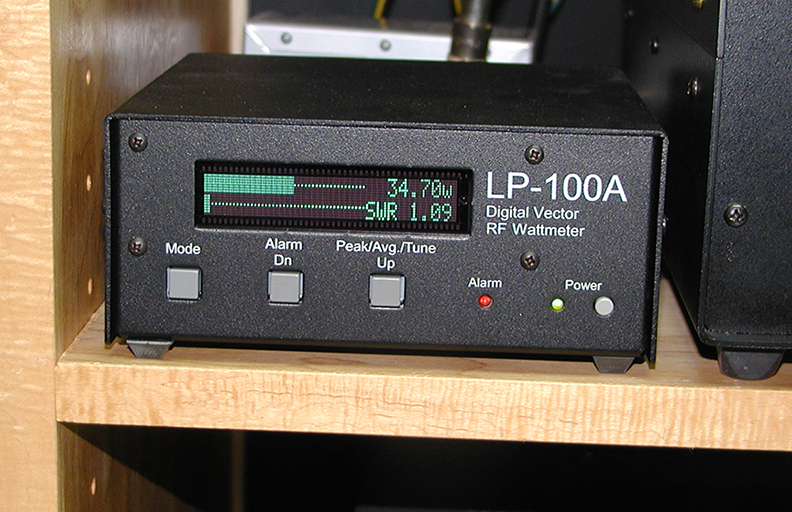 It is perhaps the most used instrument in my shop, and if you have any interest in working with antennas one of these is well worth the investment, and you'll wonder how you ever got along without it.